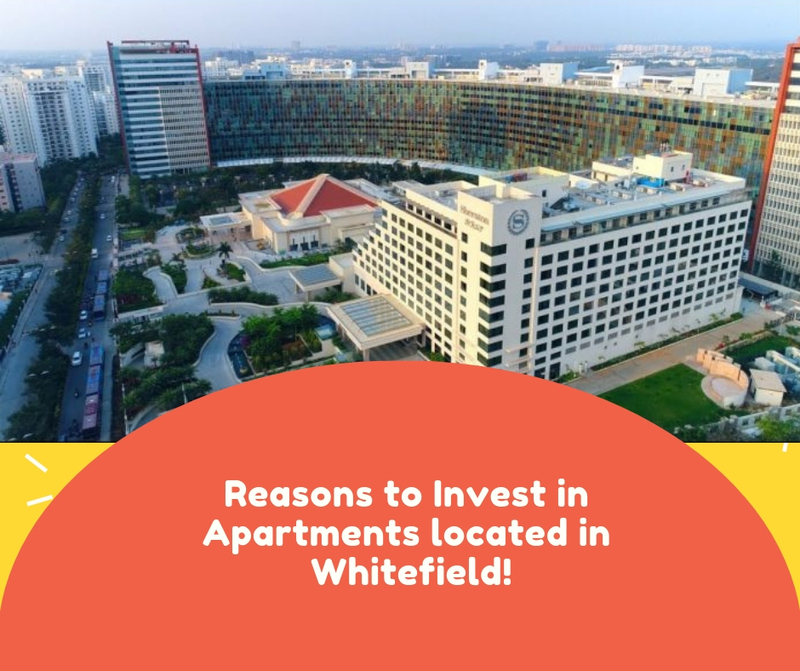 Reasons to Invest in Apartments located in Whitefield! The busiest city of the nation, Bangalore has been crossing over all the problems, difficulties and barriers which are the major of being this advanced city to be a world-class smart city. 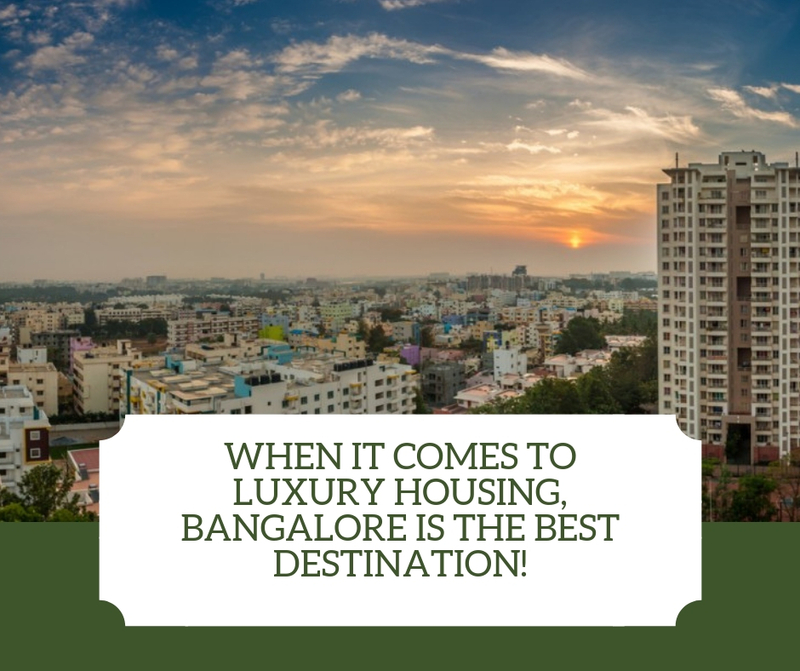 Several dream projects, residential developments, apartment complexes and many other luxurious constructions are available in the prosperous regions and developed suburbs in Bangalore. These are the quality sources of premium living equipped with best features and top-notch specifications. The best source of modern living these days is the apartment segment. Moreover, if you choose it in the Whitefield region, you can enjoy the proximity to leading IT hubs, business districts and financial corridors. Apart from that, the quality of projects located in this is the best and you find the experience here a high-end supreme lifestyle in the top projects established here. The major reason for which modern families are constantly selecting these luxury abodes is the kind of external facilities, amenities and wonderful luxury features come with them. Apartments are the best sources of maximum ventilation as the high-rising developments enjoy ample fresh air and natural daylight due to their top heights, availability of multi-sided open homes, spacious balconies and large-sized windows covered with transparent glasses. Modern utilities can also be fulfilled in these newest segments of modern living as these living structures contain modular kitchens equipped with best provisions, well-furnished stylish bedrooms which outsource the modern comforts, astonishing living and dining areas and have many other useful top-notch specifications. The interiors in these selected luxury living spaces contain beautiful floorings, premium finishing and furnishing, branded electrical fittings and sanitary wares and charming paints and other features on the beautiful and well-decorated walls. Whitefield has great connectivity to Bangalore International Airport and other major sources of transportation. It has the city’s best schools and hospitals and other useful social facilities. For ultimate relaxation and supreme quality living, please finish the tremendous project, Assetz Marq 2.0 located in Whitefield. The property is offering 3 and 4 BHK luxury apartments for which the possession is going to be held in November 2022. The apartments are well-spacious and have whooping unit areas varying from 1366 sq. ft. to 2279 sq. ft. The interiors have been executed here with brilliant floor planning and supreme elements and materials. The modern homes provide ample cross ventilation for natural daylight and fresh air. Choose this project for superior quality living and ultimate modern comforts.